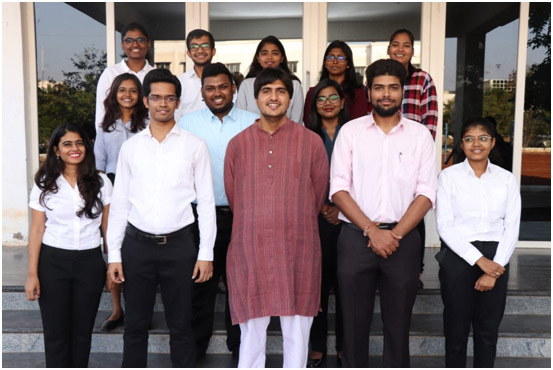 The Office of Career Services (formerly Internship and Placement Committee) is a student driven committee that seeks to act as the point committee for institution-led placements, internships, summer schools and exchange programmes. The committee helps students by providing them with a head start to excel in their professional careers after graduation. Internships are an integral and inalienable part of a law student's life and the Internship wing works towards helping the students in securing internships. The TNNLU internship policy requires students to complete 5 mandatory internships including at least one with an NGO, trial court advocate or any practicing advocate, subordinate judiciary, and Judgeof Appellate Court. Through our network of contacts the committee is able to liaise with a variety of offices and organisations in order to secure internships for our students at various offices across the country. The internships thus generated are allotted through a CV evaluation process of the interested students. The Internship wing sits every Monday as part of the “Internship Help Desk” initiative in order to help students with CV drafting, styling and independent applications. •	Chambers of Additional Solicitor General, Madras High Court. •	Office of Advocate Mr. Satish Parasaran, Chennai. •	Senior Advocate Mrs. IndiraJaisingh, New Delhi. •	Actus Legal, New Delhi. •	Khaitan Legal Associates, Mumbai. •	Legal Department, Airports Authority of India, Chennai. •	Justice Mr. Rajiv Shakdher, Delhi HC. •	Justice Mr. MM Sunderesh, Madras HC. •	Justice Dr. S. Muralidhar, Delhi HC. The Placement Wing of OCS facilitates pre-placement talks intended to be conducted by the recruiters with interested students, before the commencement of the interview preparation process. The wing also did the recruiters in conducting a pre-interview screening for the purposes of which the recruiter can stipulate any selection or screening policy that is conducive to their recruitment process. The Placement Wing also organizes career development workshops and lectures for the benefit of the students. •	Office of Senior Counsel P Wilson, Chennai. •	Human Rights Law Network, New Delhi. The Placement Brochure for the TNNLU Batch of 2019 can be accessed here.